Ethiopian Traditions ‘Nearly Identical’ to Dead Sea Scrolls From Second Temple Era - Breaking Israel News | Latest News. Biblical Perspective. Many of the religious rituals and customs of the Ethiopian Jewish population are almost identical to the type of Judaism practiced in the period of the Second Temple, researcher and professor Dr. Yossi Ziv recently revealed. While the differences between Ethiopian Judaism and the Judaism practiced by religious Jews today have led some to disparage the Ethiopian connection to the Jewish people, Dr. Ziv said that many Ethiopian customs align perfectly with descriptions of Jewish life and laws found in the Dead Sea Scrolls, which date from the Second Temple. Totally isolated from mainstream Judaism and the evolution of Jewish teachings through the Oral Law (Talmud), Ethiopian practice remained true to its purely Biblical roots, the professor explained. His findings persuaded him that Ethiopian Jews are in fact an offshoot of the Biblical Israelites. “I’m convinced that this community was a part of the nation of Israel during ancient times, but they were cut off. We don’t know when or why, but it occurred before the Pharisic tradition became the mainstream Jewish tradition,” Dr. Ziv said, Ynet News reported. He referred to the Pharisee sect of Judaism, which coexisted with the Jewish sects of the Sadduces, Essenes, and Zealots during the time of the Second Temple. Each sect adhered to its own set of practices derived from Biblical teachings. 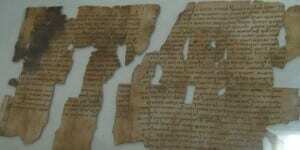 The Dead Sea Scrolls are most often associated with the Essene sect. Dr. Ziv gave concrete examples of Ethiopian practices found in the Dead Sea Scrolls, providing evidence that even when Ethiopian customs seem to be in direct contradiction to mainstream Jewish ones, they are actually based on ancient sources. Incredibly strict observance of the Sabbath (Shabbat) is one such example. Unlike mainstream Judaism, which abides by a Talmud teaching that violating Shabbat is permitted in order to save a life, “For the Ethiopian Jews, the sanctity of Shabbat must be preserved, even at the cost of human life,” said Dr. Ziv, adding that similar stringencies were found in the Dead Sea Scrolls. Another Second Temple-era custom practiced by Ethiopians includes not lighting Sabbath (Shabbat) candles in observance of an ancient tradition which prohibits the use of a fire on Shabbat, even if it was lit before Shabbat started. An additional difference relates to a mourning custom. In mainstream tradition, Jews in mourning refrain from cutting their hair or shaving their beards. In contrast, Ethiopians have a tradition to cut their hair short and shave their beards – a practice also found in the Second Temple scrolls and even in the Bible itself. Dr. Ziv pointed to several sources in the writings of the prophets which supported the idea. Ethiopian women also follow very strict “purity” laws relating to menstruation and childbirth, physically separating themselves from the community for prescribed amounts of time until they are permitted to purify themselves and return. 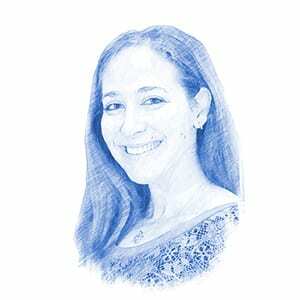 The practice is described in the Temple scroll of the Dead Sea Scrolls, said Dr. Ziv. “The Jews of Ethiopia lived in exile and in complete isolation from the rest of the nation of Israel. However, they continued to keep the traditions of our forefathers up until this very day,” Dr. Ziv concluded.